PYTHON Thermal Mask – It’s a sell out! Due to incedible demand, the first batch of 1000 Python Thermal Mask has already been sold in only 10 days!We are now taking orders for delivery in FEBRUARY 2017! Do not miss your chance to get the world’s first thermal mask with full audio-visual Android Enabled communications support! 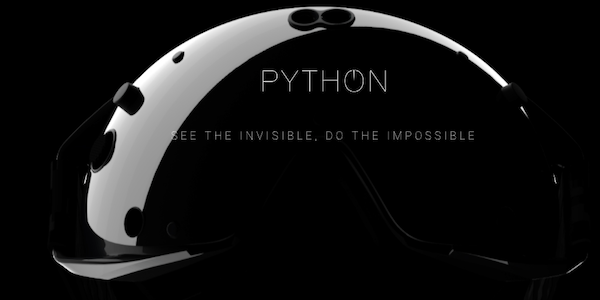 PRE-ORDER NOW your Python Thermal Mask from an incredible £99. Here we are! Thanks to AirsoftAnnex! PRE-ORDER NOW your Python Thermal Mask with a deposit of just Euro 100. Please note that the delivery for the next 1000 customers will be free of charge. Author NexoPosted on 29th October 2016 28th April 2017 Categories ReviewsLeave a comment on Here we are! Thanks to AirsoftAnnex! Last 22 August, Jonathan Higgs on his Airsoftology Monday Q&A Show, talked about an Airsoft Heads Up Display. That actually tweaked our interest as we are always on the lookout for the latest gizmos that can be used in airsoft. 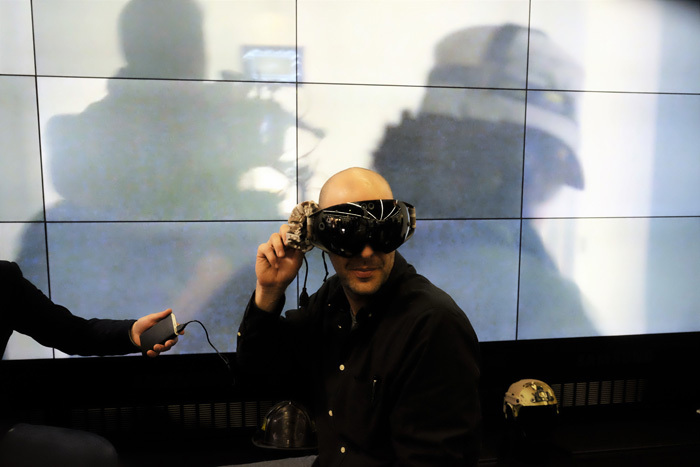 It turns out to be a Paintball HUD Mask in the form of the Empire EVS Heads Up Display that was developed in a collaboration between Empire Paintball and Recon Instruments. 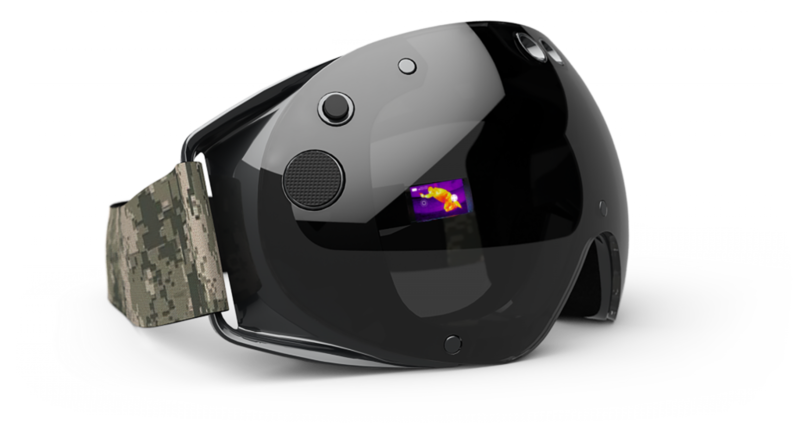 It is basically a Heads Up Display unit that is based on the Recon Jet and redesigned to be fitted to the Empire EVS Mask as an added module and enhanced with features that can be used in Paintball (and perhaps airsoft as well, though it is more optimised for Paintball). It is also designed to work with the Empire Vanquish paintball marker via Bluetooth. So it is more locked-in to the products of Empire Paintball to make the most out of its features. But, as many airsoft players know by now, there is an actual Airsoft HUD that was developed from the ground up with airsoft in mind. We have been writing about the Nexo Python Thermal Mask since last year and it has features that airsoft players would want to use for their airsoft game, especially for Milsim events, apart from its thermal camera, it’s most significant feature. 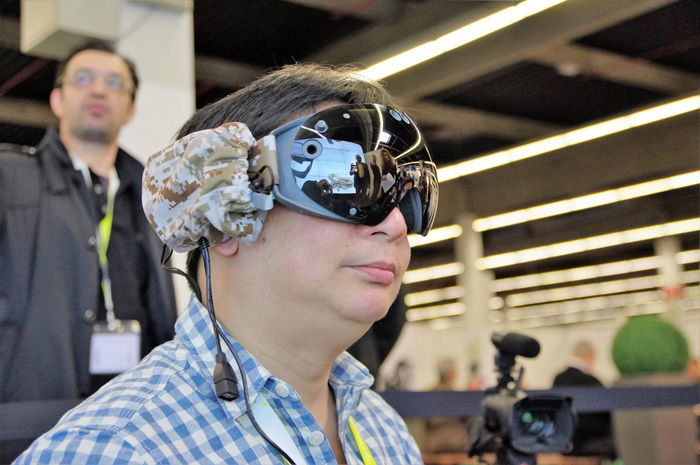 We tried on the Python Thermal Mask during the IWA Outdoor Classics 2016 where we visited their booth and had a chat with Alessio Bua and the Nexo Team about the product. It is really a cool product and the thermal camera works as promised but it will take time for you to get acquainted with using a thermal camera inside your airsoft mask. We were not able to check out the other features since they need to be tested in actual or simulated conditions. What airsoft players should be glad about is that the Python Thermal Mask can now be ordered by anyone and for resellers to place bulk orders. 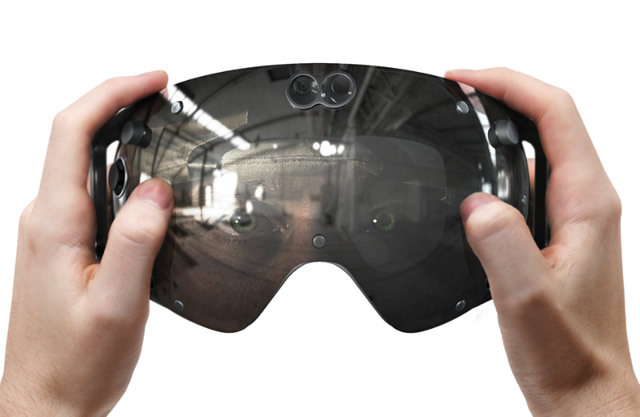 Apart from the Thermal Camera, the Python Mask also comes with a High Definition Camera that allows you to capture 1080p videos and still photos. 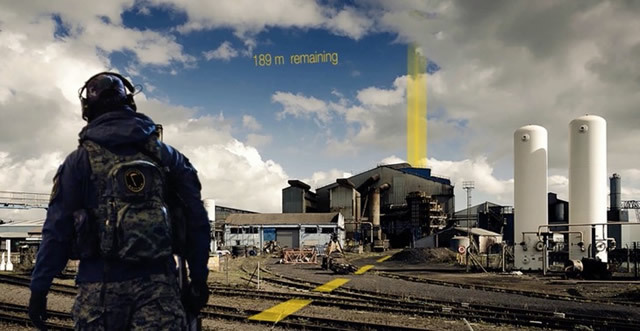 With the power of smartphones in mind, they have developed tools to properly coordinate an airsoft team. 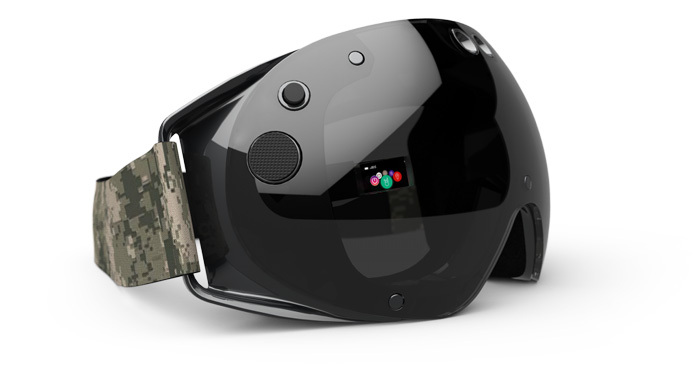 Using the internet connection of your smartphone, you can communicate and coordinate with other players/team members who are wearing the Python Thermal Mask via real time voice communications though we would love it if you can connect it to PTTs of radios. Now speaking of team coordination, the Geolocation feature allows the wearer to track the movements of team members in real time, allowing for making tactical decisions and coordinating tactical manoeuvres. The Python Thermal Mask can work with smartphones that use either the Apple iOS or the Google Android mobile operating systems which pretty much cover most of the current and upcoming smartphones in the world. We do not know how expandable the Python System is, especially in developing apps or add features to it to fully maximize its capabilities. But for now what Nexo Group have settled on before releasing the first generation of the Python Thermal Mask are features that should be enough for airsoft players to use for now. You can now order the Python Thermal Mask at the Nexo Group website for €878.00 with an announced release date of 10 November 2016. If you are thinking of the ultimate gift for yourself before or on Christmas day, then this should be in your shortlist. Python Thermal Mask is compatible with all devices running with Android 6.0.1 and all iOS devices. NLAIRSOFT – PYTHON THERMAL MASK NOW FOR SALE! FINAL RELEASE DATE NOVEMBER 10TH! 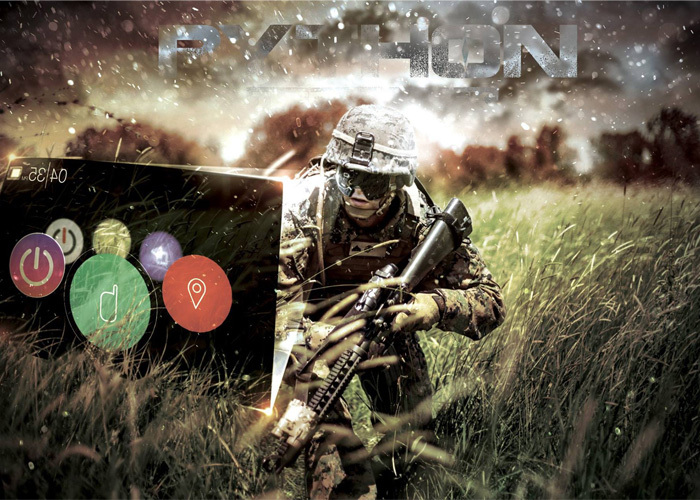 Python allows you to see areas of heat through smoke, darkness, dust, and dense fog, or heat-permeable barriers. It also permits to see through camouflage and foliage in any lighting conditions. 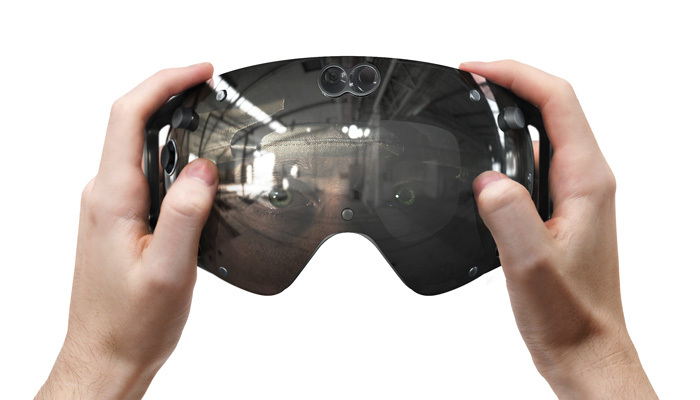 The thermal goggle uses a micro thermal camera that allows you to see things that the naked eye could never perceive on its own. Together with it’s apps it’s a really nice innovation. However to work well with Airsoft all your friends or teammembers need to have this mask, and that’s a massive investment and the reason why we think the mask will not yet be adopted for airsoft. I am sure when price drops over time, this mask will certainly have a lot of potential! Author NexoPosted on 14th September 2016 14th September 2016 Categories ReviewsTags airsoft, innovation, nexo, nlairsoft, pythonmask, thermographyLeave a comment on NLAIRSOFT – PYTHON THERMAL MASK NOW FOR SALE! NEXO announces Python Thermal Mask release date! Author NexoPosted on 30th August 2016 Categories VideoTags airsoft, firefighting, google, innovation, nexo, pytghonthermalmask, rescue, tech, technology, thermalmask, thermography, wearableLeave a comment on NEXO announces Python Thermal Mask release date!